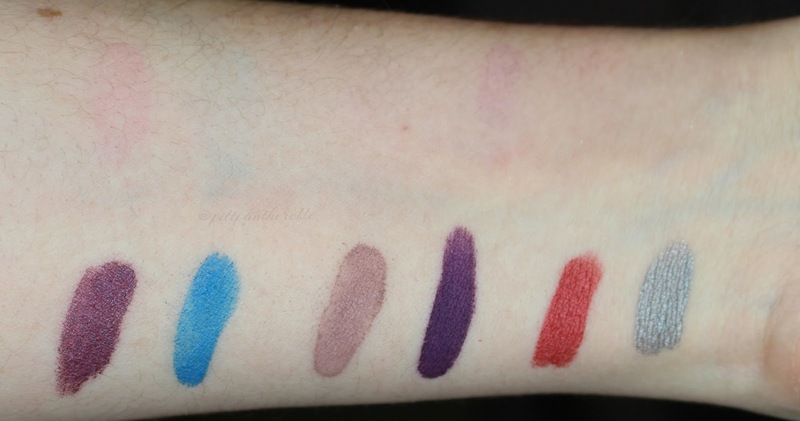 Today, I will be reviewing Fyrinnae Liquid Matte Lipsticks. The three colors, Warp Speed, Volcanic, and Desire are in newer packaging and what I also presume is a new formula. The other three colors, Wizardry, Kitten, and Graffiti are in older packaging and an older formula purchased on 3/2015. All photos are unedited (minus cropping and watermarking) to best represent the color unless otherwise noted. Pictures are taken with a Canon Rebel T5i and a 5400K fluorescent ring light. I have purchased all the products being reviewed. All opinions are my own and I was not paid to say anything in this post. The newer packaging has a double walled tube with a black cap and a doe foot applicator, and contains 5 mL (~0.17 oz) of product. 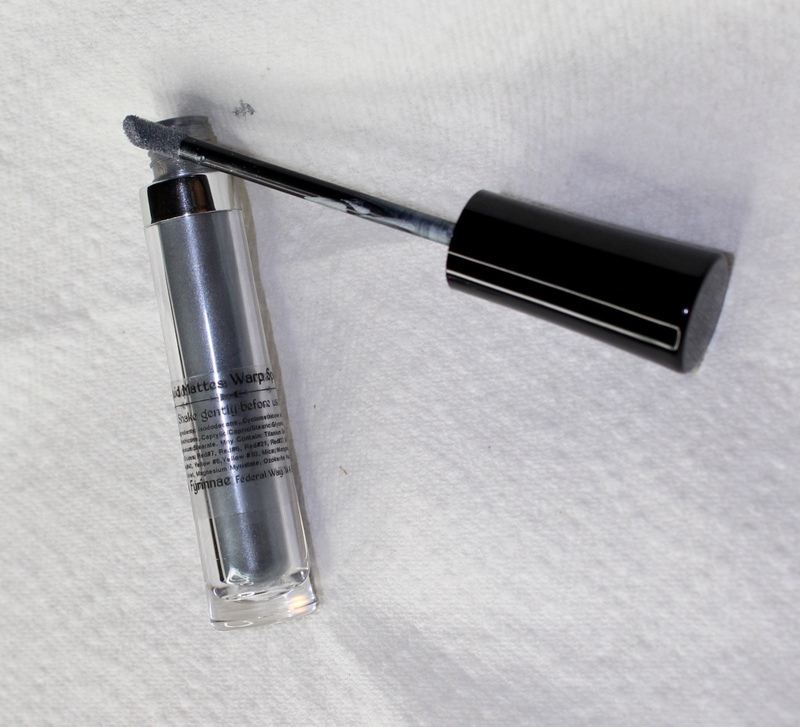 The older packaging has a plastic tube with a silver cap and a doe foot applicator, and contains 9 mL (~0.33 oz) of product. Look how much bigger the opening is on the older packaging, its HUGE. I can see the product! While I really enjoy the old packaging containing more product (better price to oz ratio: $12.50 for 0.33 oz), I significantly like the newer packaging over the old. The newer packaging feels a lot sturdier because a harder plastic is used compared to the old packaging. I also feel the new packaging helps with using less product because the stopper is a lot better with the new tube. With the old packaging, a lot of product (and I mean A LOT) would clog up on the applicator and you would have to scrap excess off every time. Even then, you could not prevent the wand having tons of product. The older packaging is definitely not as travel friendly either (I swear I remember product leaking out of the old packaging once...). Big two thumbs up on the packaging improvement! Read on for swatches and the review! Light, metallic silver. Looks slightly darker in daylight. This swatch is 2 coats. Warm, metallic red with orange-pink dichromatic shimmer. This swatch is one coat. Below are some pictures I took to try to pick up the duochromatic shimmer. I tried my best to turn the ring light down and move my iPhone flashlight to pick it up. Yes, I am indeed a masterful photographer /s. 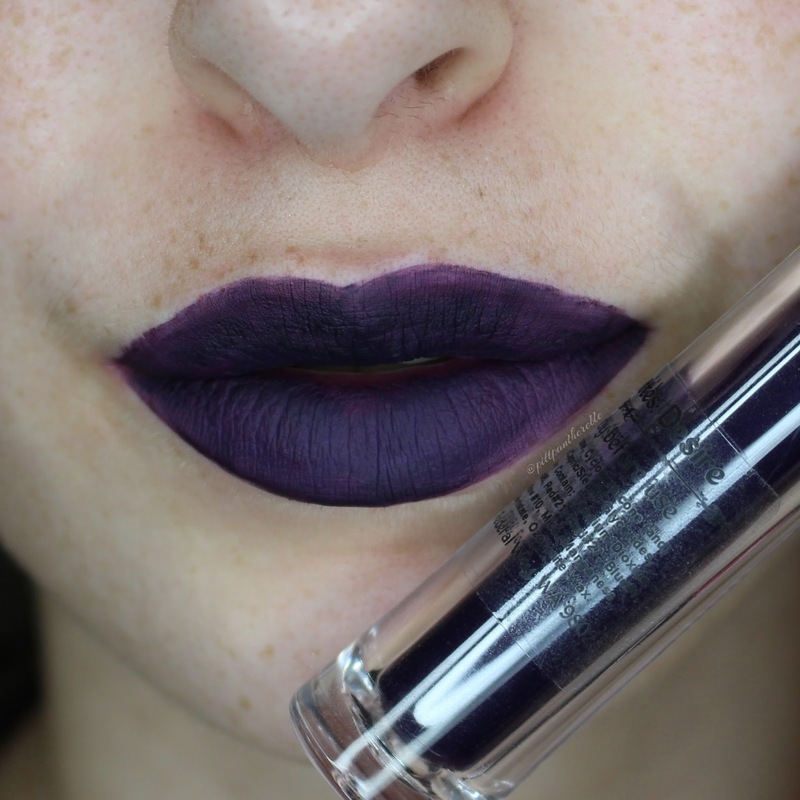 Very dark purple. This swatch is two coats. A neutral metallic blue. This swatch is two coats. Deep burgundy base hue with a highlight which changes from turquoise-blue to purple to pink depending on proximity to light or angle. A dark purple base with duochromatic blue-pink shimmer. The swatch is two coats. The blue shimmer is visible in daylight but the pink shimmer is not. The below picture is my attempt to catch the pink shimmer in daylight by again using the iPhone flashlight. A "greige" aka grey beige with a very small touch of pick. This swatch is one coat. Below shows the staining of the liquid lipsticks. 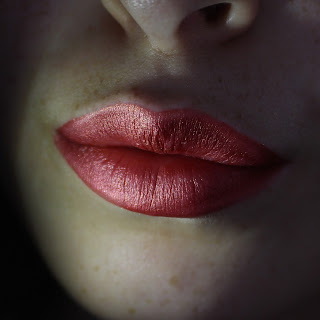 Both Wizardry and Desire stain a bright pink and it is a lot brighter on the lips. Graffiti stains the lips blue. The other colors do not stain. 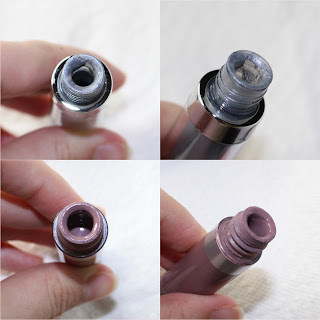 [These lipsticks] dry down in less than a minute (let product set for 20-30 seconds after application) and may last for hours... 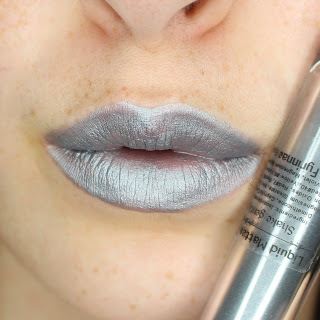 The consistency varies by shade, but most are very thin, yet only requiring 1-2 coats for complete coverage. Shake before using. Their site also has some other tid bits to get the best wear out of their lipstick. I have found that the lipsticks uphold to most of the claims mentioned on the general liquid matte page. But how did I feel about the lipstick? 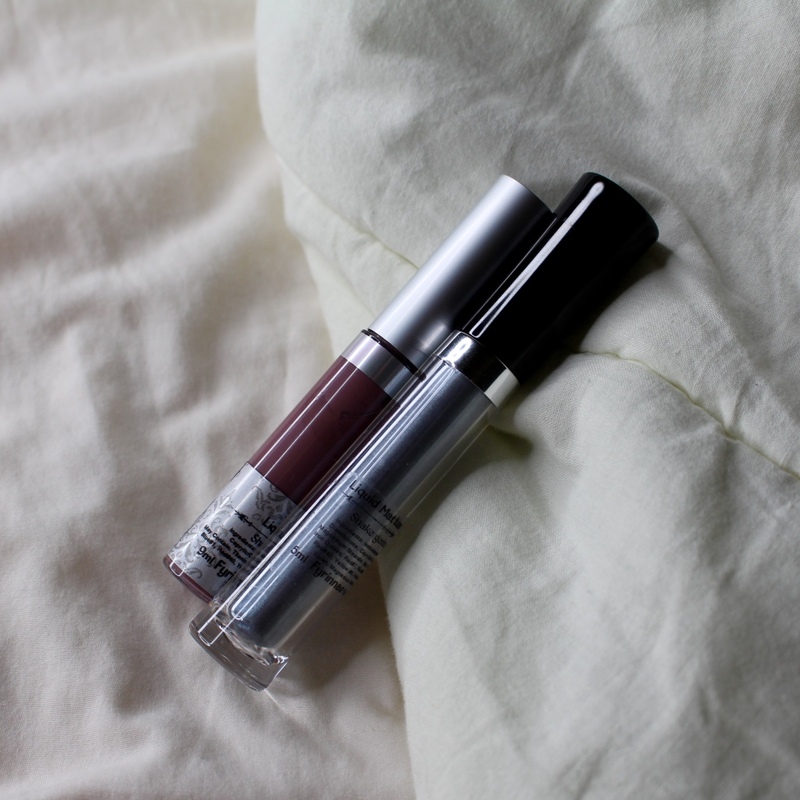 These liquid lipsticks are a true liquid to matte formula and separate if they sit around. 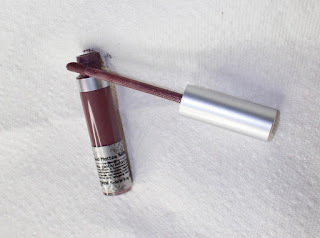 Other liquid to matte lipsticks (think Lime Crime Velvetines and Kat Von D Liquid Lipstick) have a creamier consistency and more play time before drying down completely. 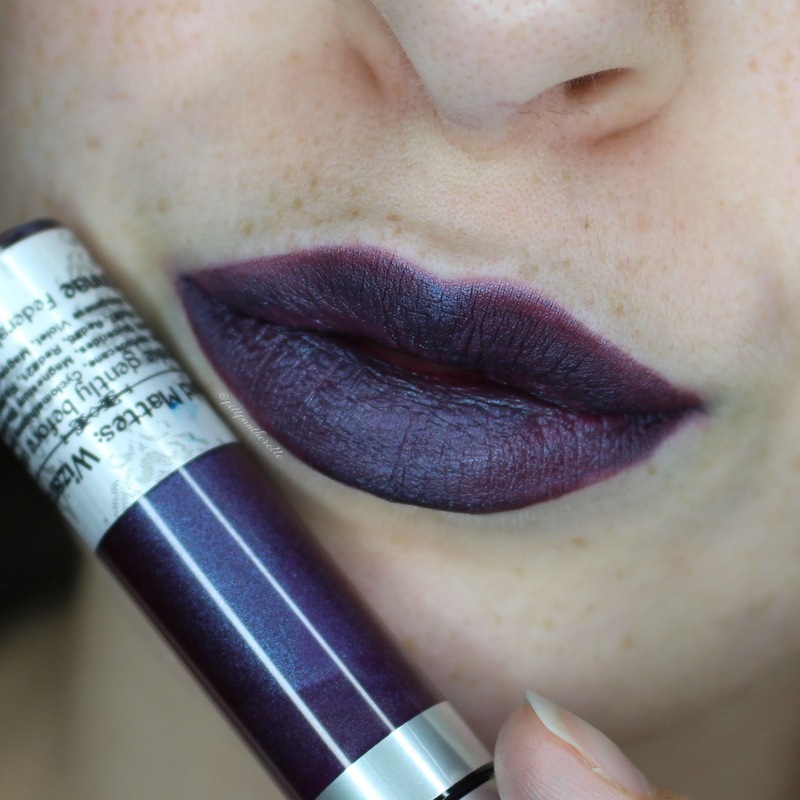 Fyrinnae's lipstick does have a bit of a learning curve to apply it because it can dry down on you mid-application if you apply it slowly, such as myself. It can also get a little streaky if you apply more than one coat as the applicator drags around lipstick that has already dried to your lips. You will have to dab the lipstick on patches to smooth it out. 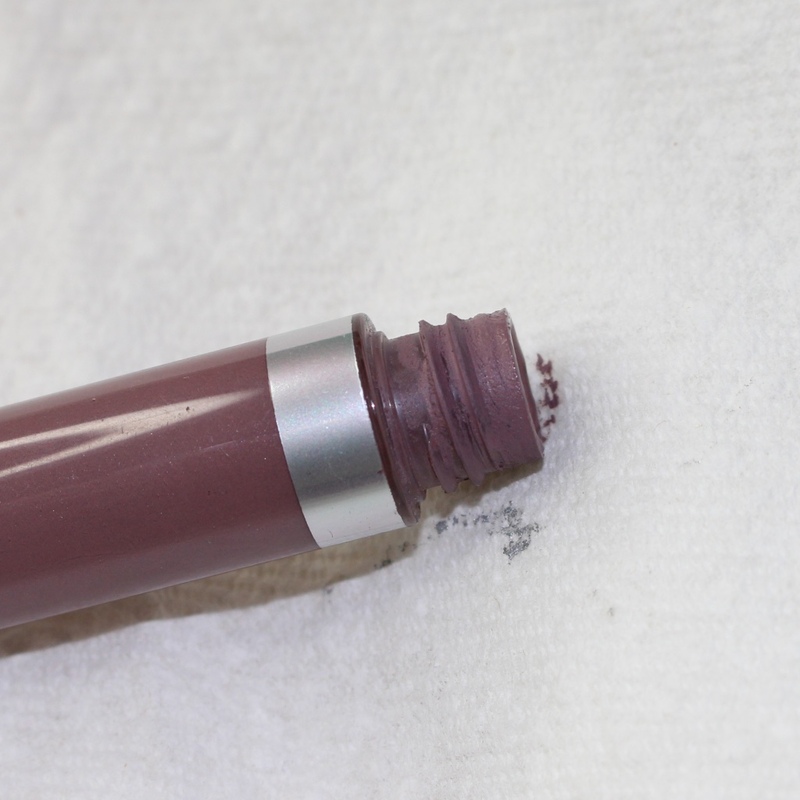 Some of the lipsticks are not completely opaque and will require you to apply an additional layer of product. I have also found that these are not as long lasting as I have discovered with the typical liquid lipstick. 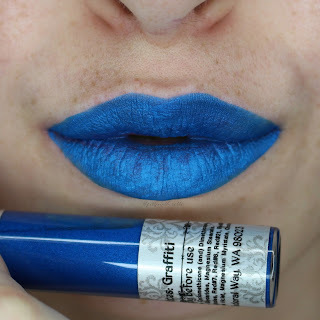 Fyrinnae's lipstick can last for hours if you just sit around and do nothing. 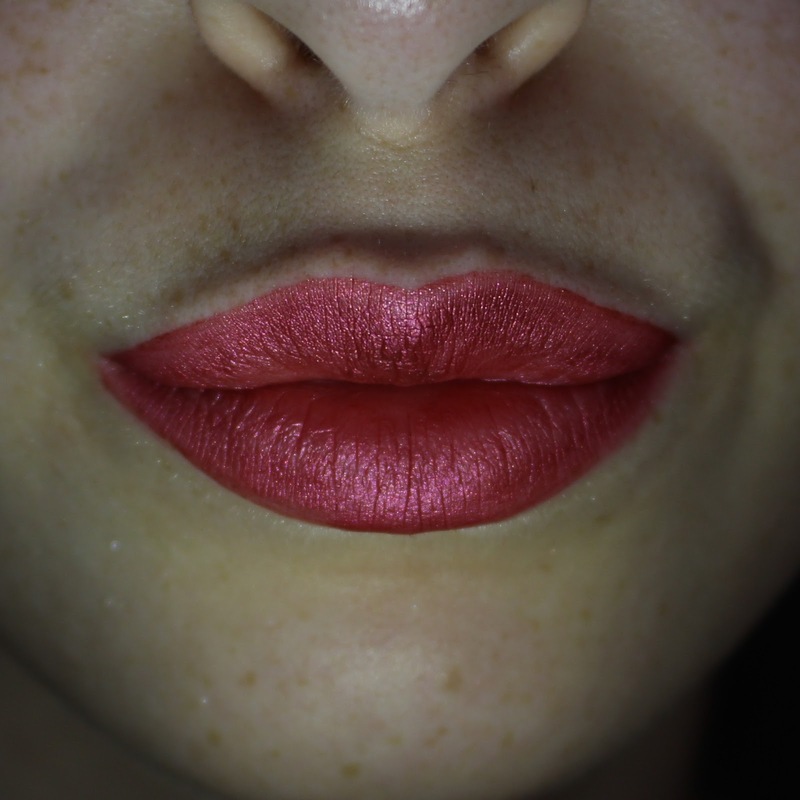 If you talk or drink, the lipstick will wear easily on the inner lip and the wear can be noticeable i.e. my dark lip ring after a few cocktails. These lipsticks will not last through eating unless of course you are really, really careful. I have found the older formula to wear more easily than the newer formula. 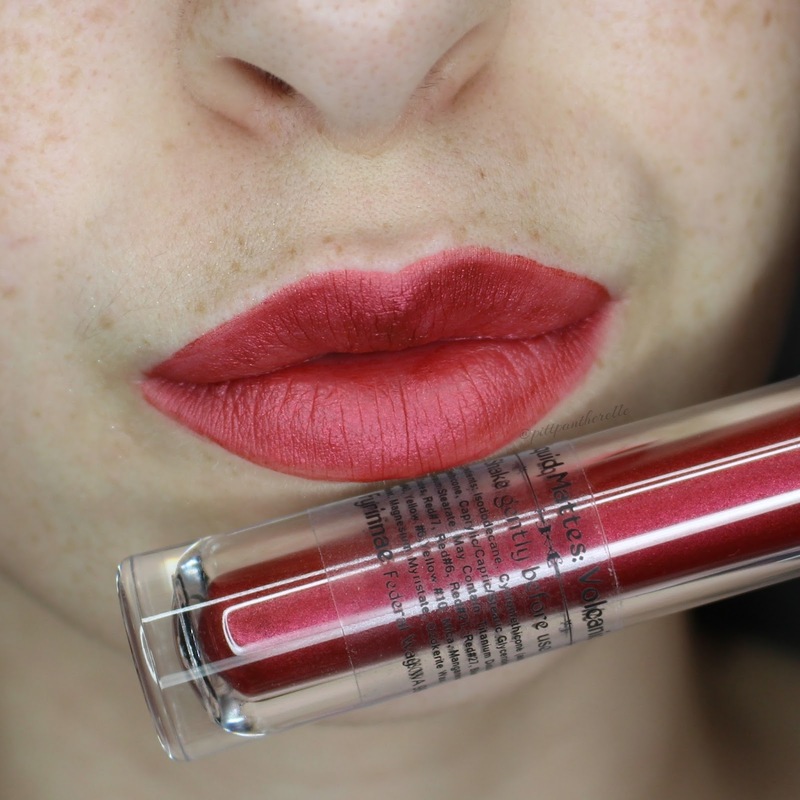 The older formula builds up more product on the lips, which makes the lipstick transfer off the lips. The dryness varies between the two formulas. I have found the older formula to be moderately drying across the three colors. The newer formula is non-drying to slightly drying. I really like that they were able to make the formula more comfortable. Another bravo. Below, I will evaluate each individual shade and take into consideration what I mentioned above in the score. Yes, considering that they have improved the formula and packaging. I wish I could get the three older shades in the newer packaging and formula. For those purchasing older formulas off of makeupexchange or Sunday swap on indiemakeupandmore, I would be hesitant to purchase. Warp Speed, Volcanic, and Wizardry have none I could think of. They are all unique shades I have not yet discovered across any other brands. Thanks for reading this review! I hope that it was helpful and will help you make informed beauty purchases or non-purchases.